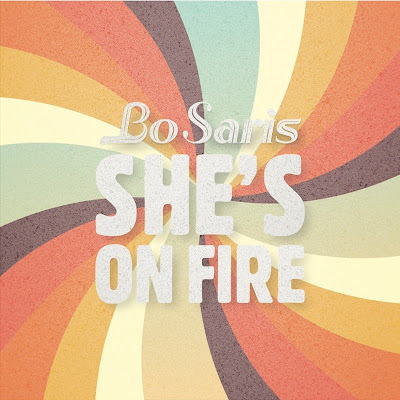 Bo Saris releases his first UK single ‘She’s On Fire’ on the 21st May, remixed by one of the biggest names in House music right now, Maya Jane Coles. Reminiscent of classic Motown, ‘She’s On Fire’s’ soulful grooves and slick vocals are manna from heaven for multi-award winner Maya Jane Coles, who drives a beat akin to a rolling steam-train underneath Bo Saris’ sweet, love-sick harmonies. Fans (and there are many) of Coles distinct brand of house music will instantly recognise her hand in the proceedings. ‘She’s On Fire’ is a certified dancefloor weapon, guaranteed to earn a permanent home in the best DJs boxes and soundtrack sunshine moments in bars and on terraces across Europe this Summer.